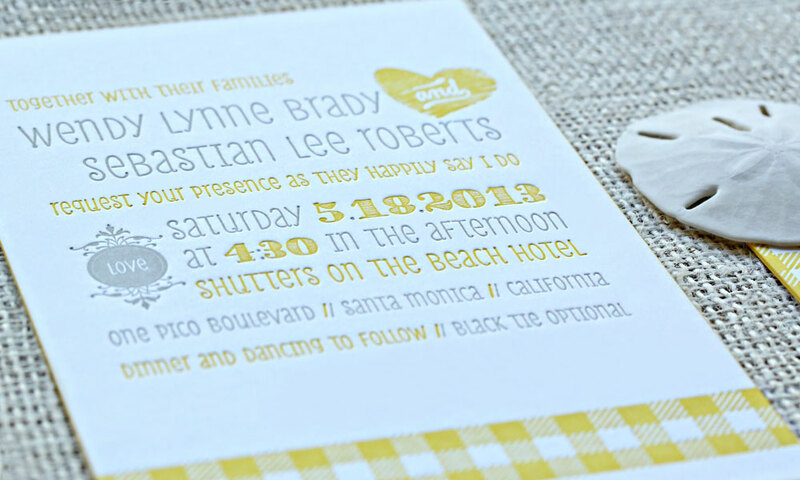 Beautiful florals and whimsical, picnic-inspired details set the tone for Wendy and Sebastian’s fairy tale wedding overlooking the Pacific Ocean in Santa Monica, California. 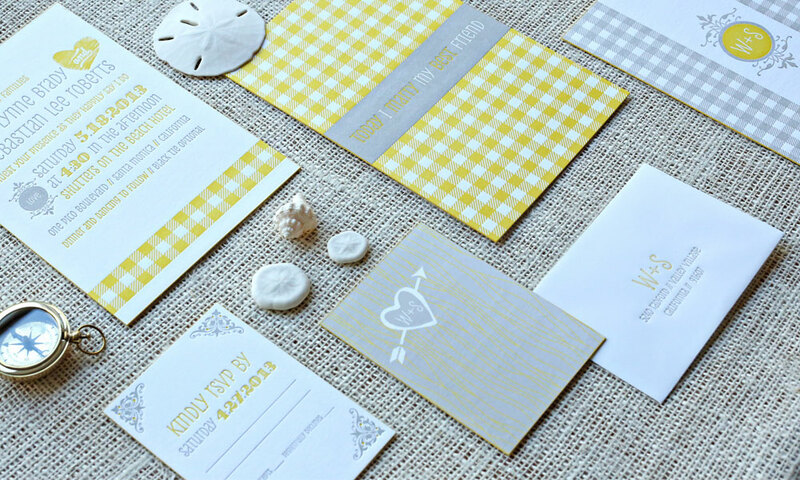 While unexpected in a wedding motif, the picnic elements pay homage to the gathering of friends in Central Park where the couple first met! 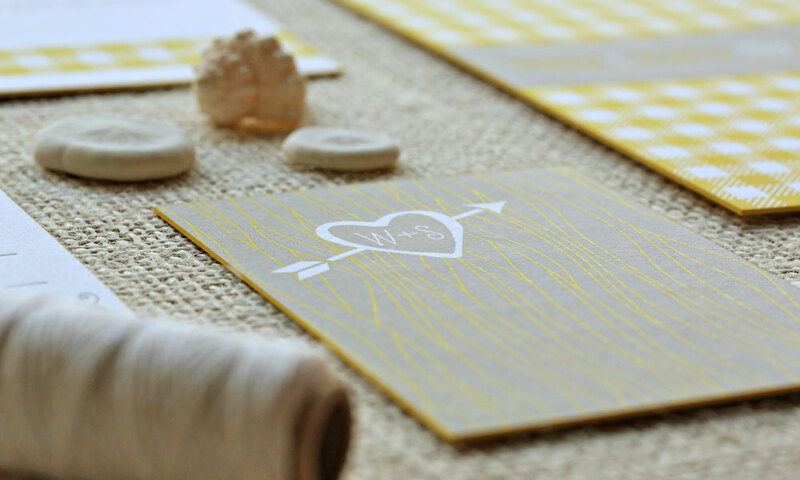 Look closely to decipher many of the little personal touches incorporated throughout this playful, chic letterpress and flat-printed wedding invitation suite, including their initials carved on a tree trunk and picnic-linen patterns and their decorative, custom-illustrated monogram. 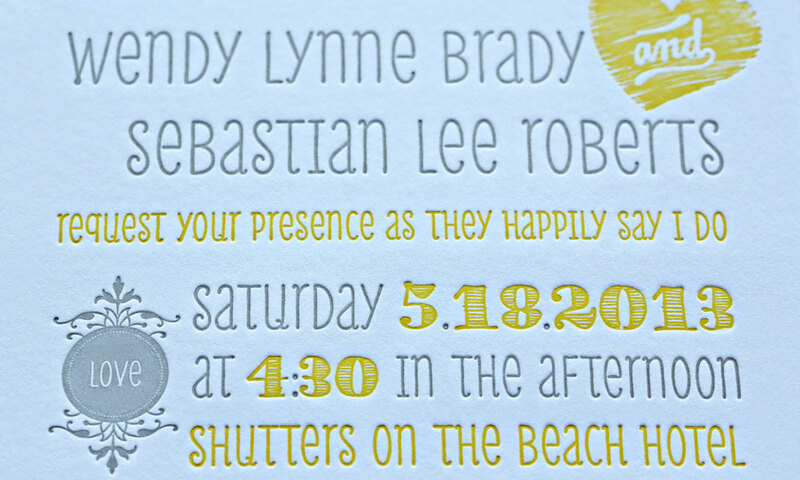 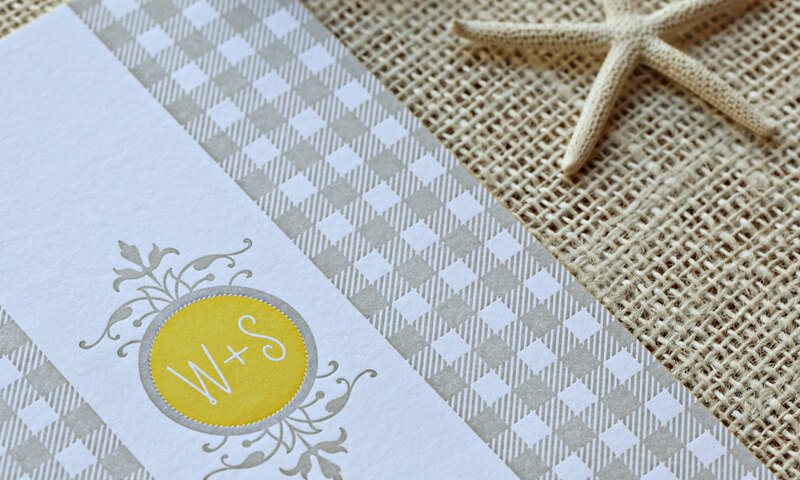 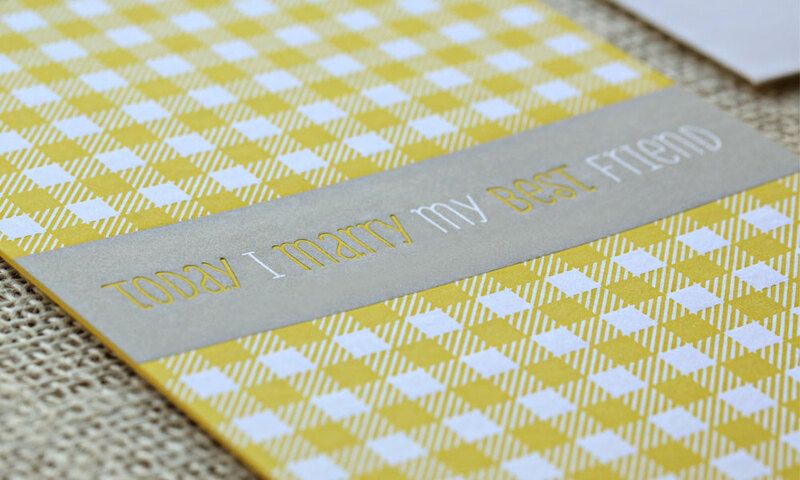 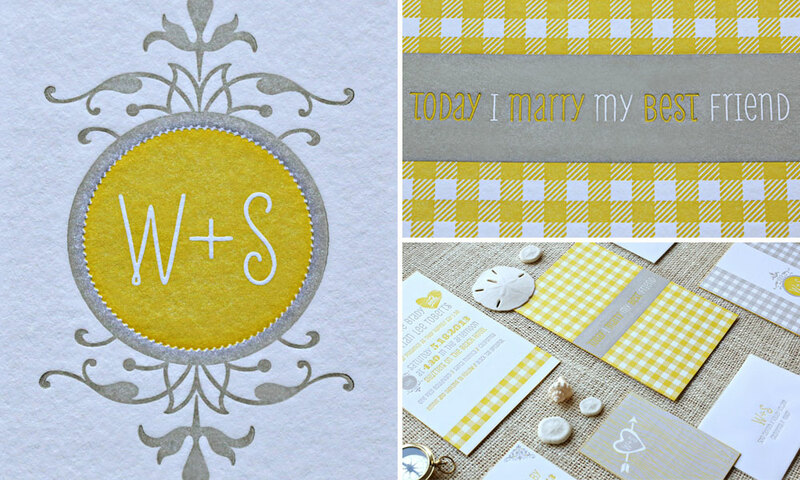 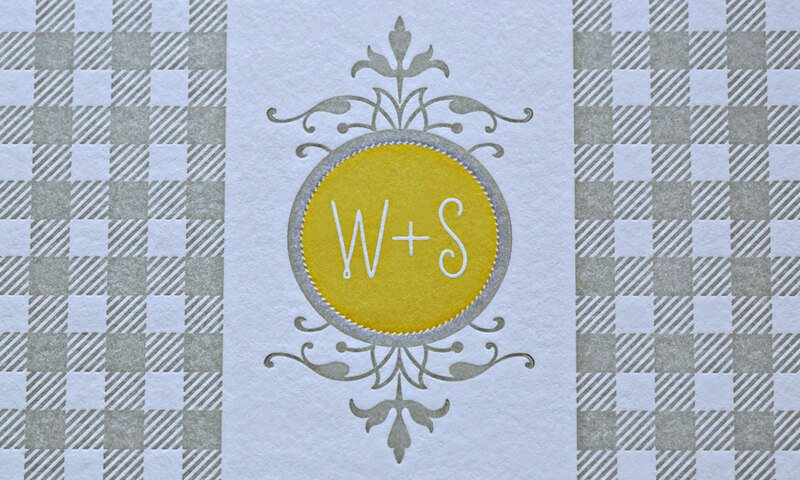 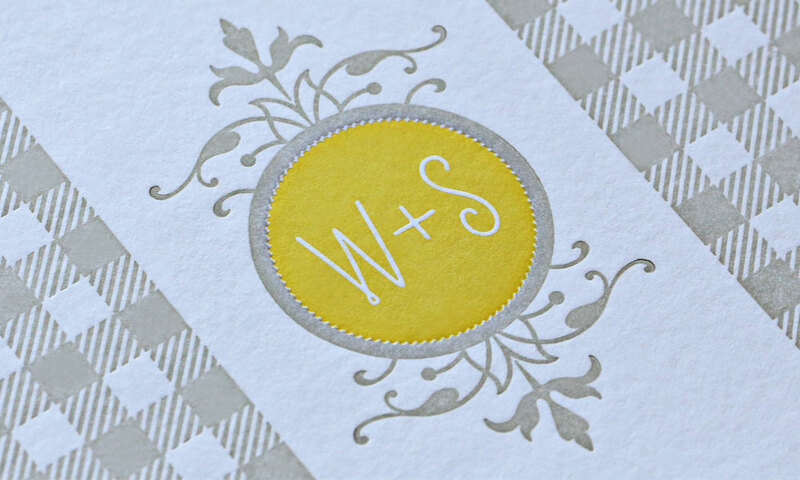 Warm sunny colors and fun typography reflect Wendy and Sebastian’s positive and cheerful personalities, while the sand-colored edge painting showcases the premium, thick cotton paper stock and accentuates the elegance. 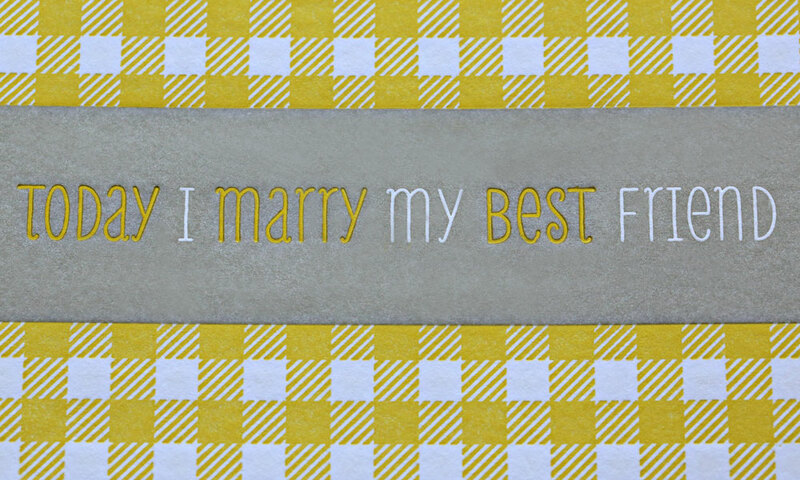 The phrase “today I marry my best friend ” showcases this perfect match’s love and friendship. 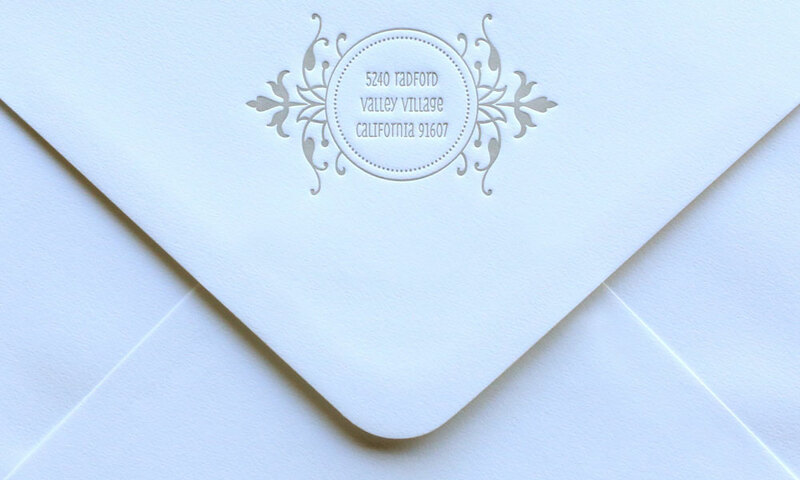 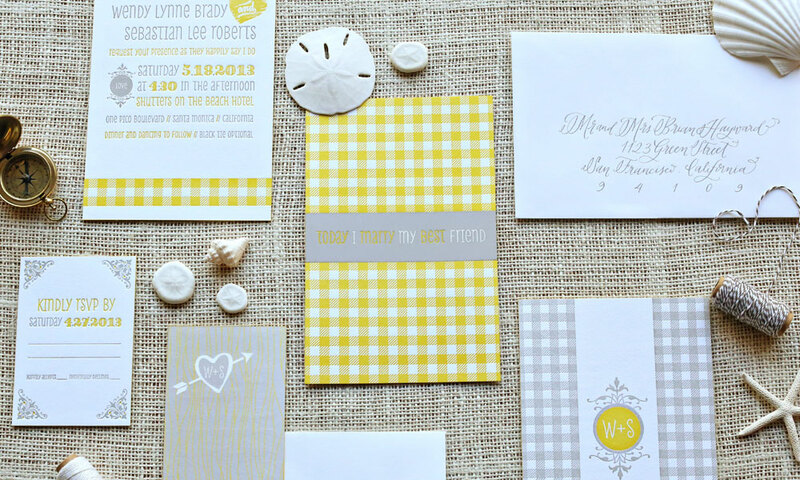 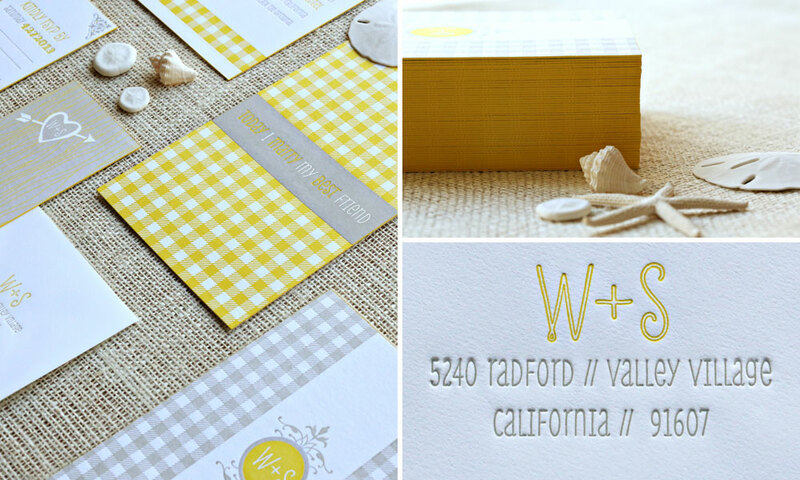 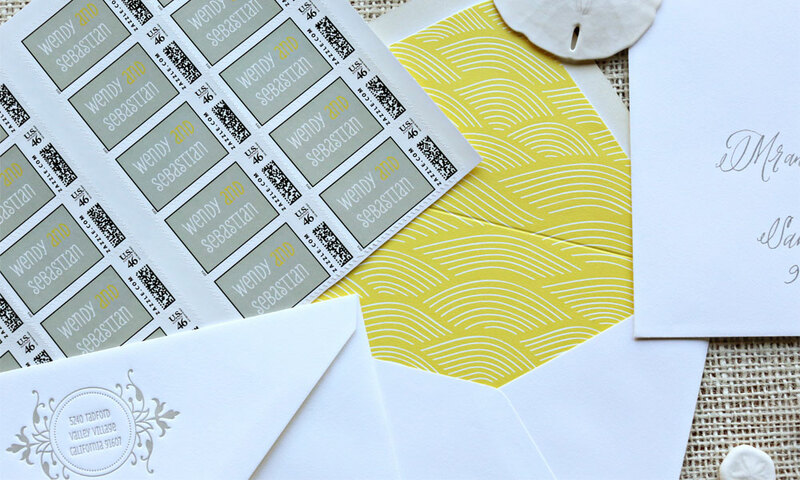 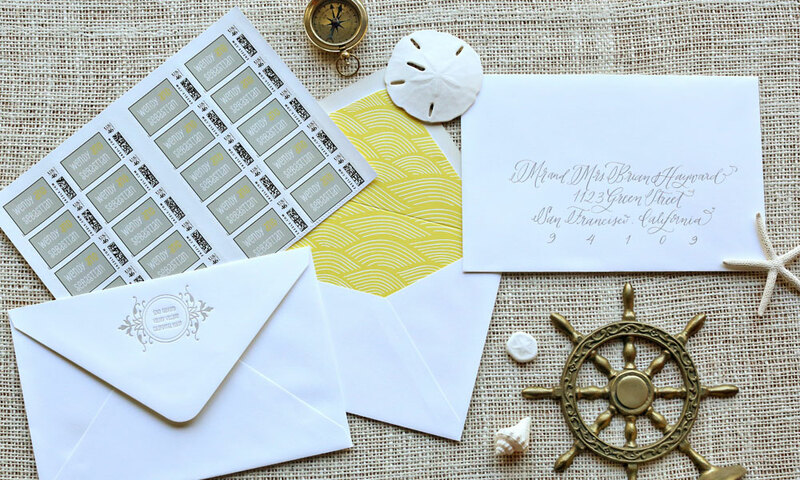 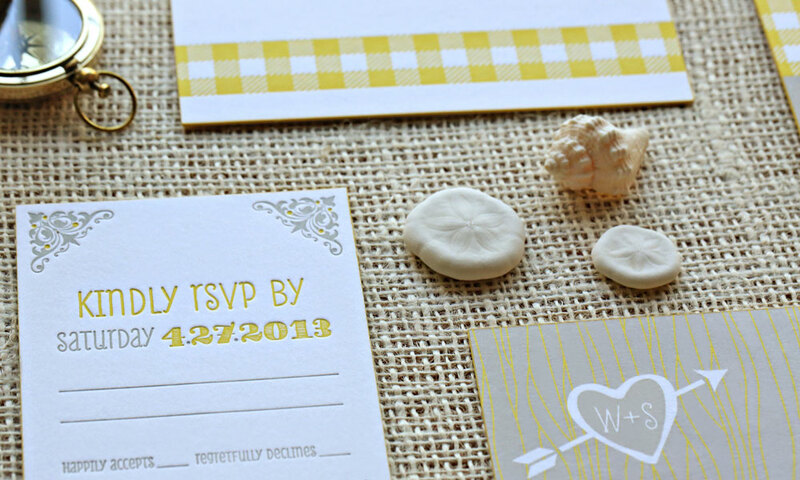 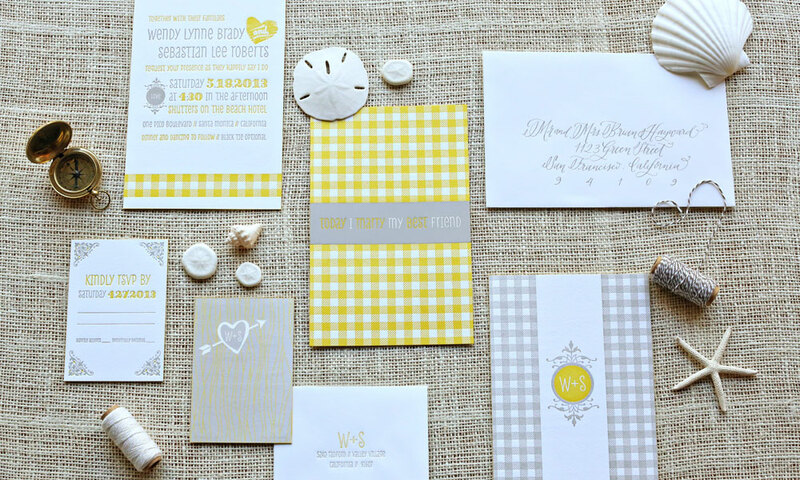 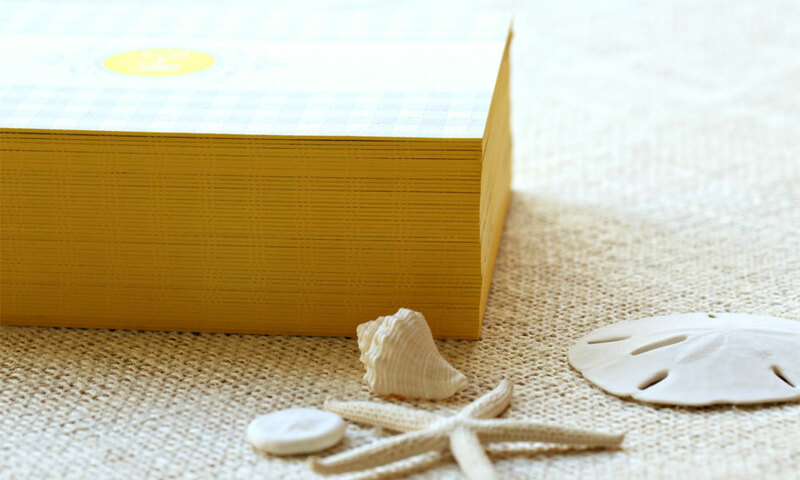 The white cotton envelope features a letterpressed return address and a custom liner with cascading geometric yellow ocean waves. 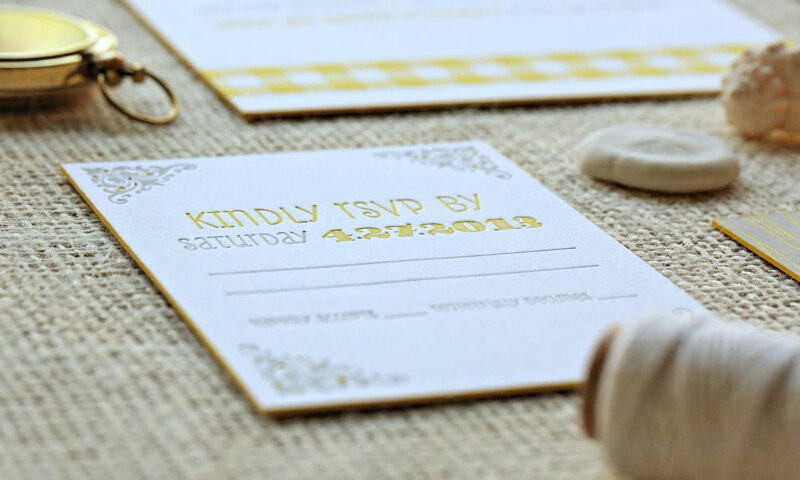 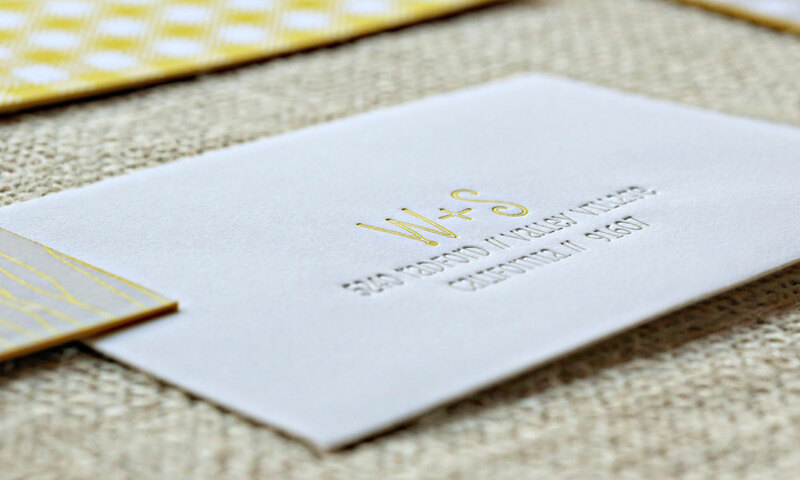 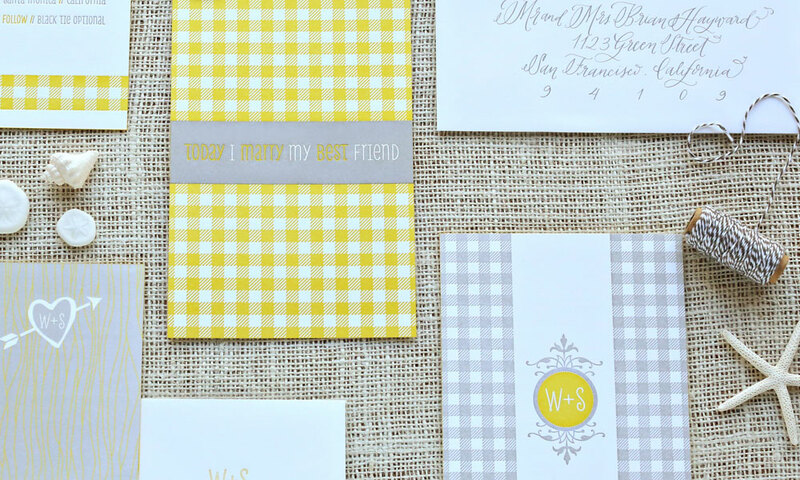 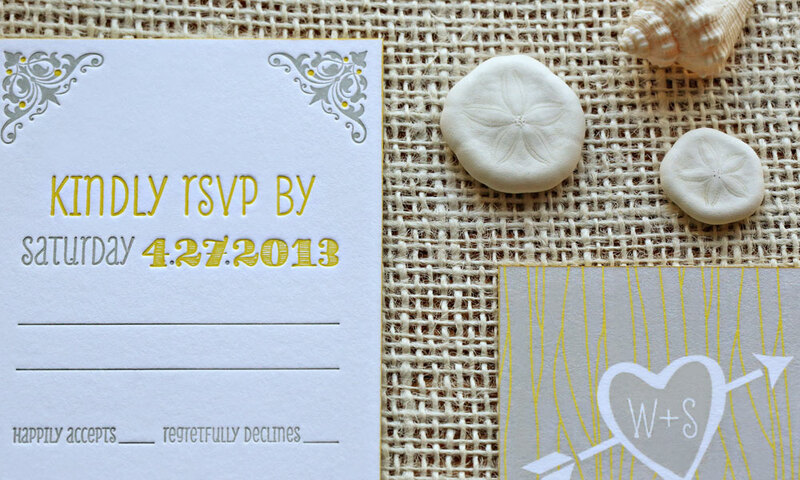 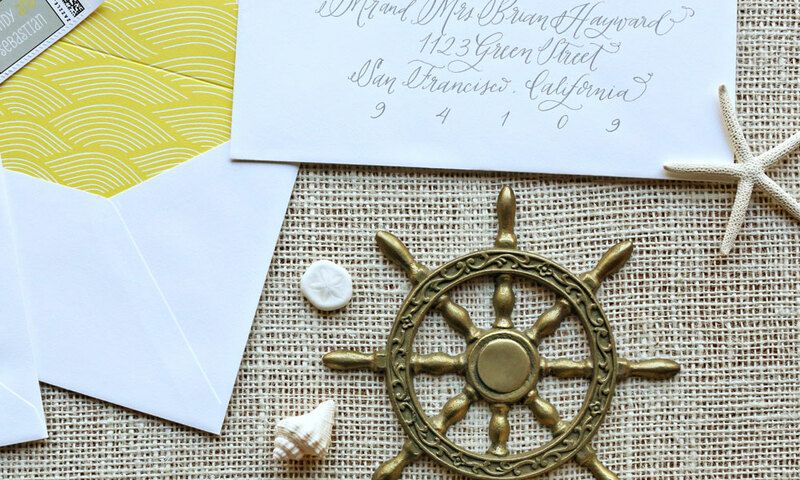 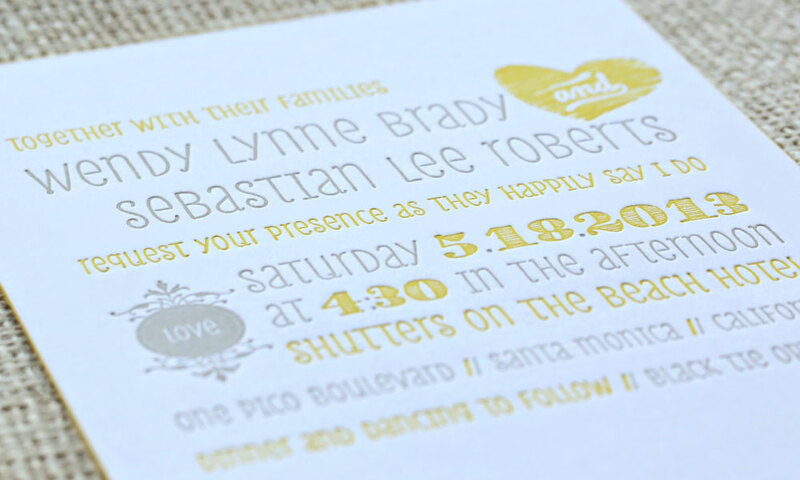 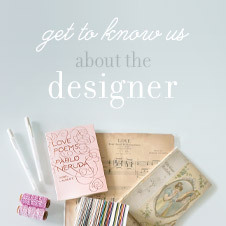 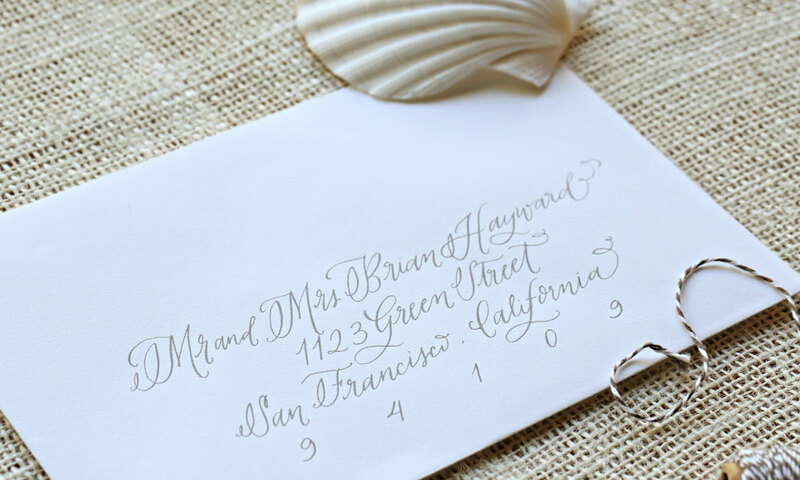 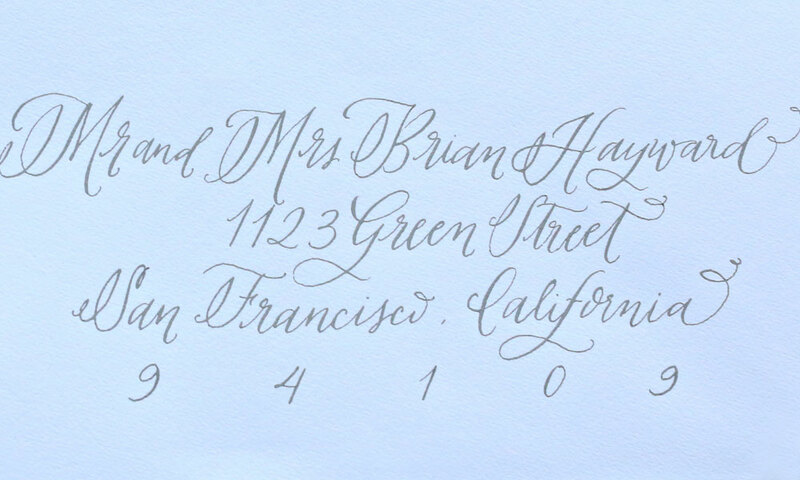 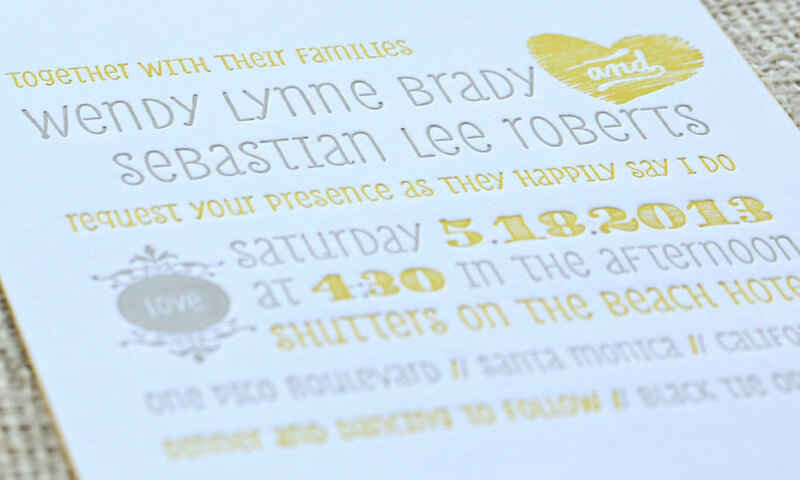 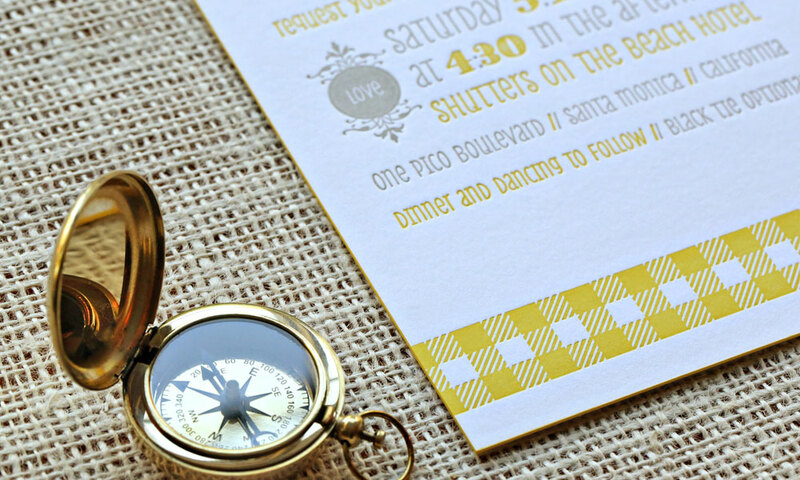 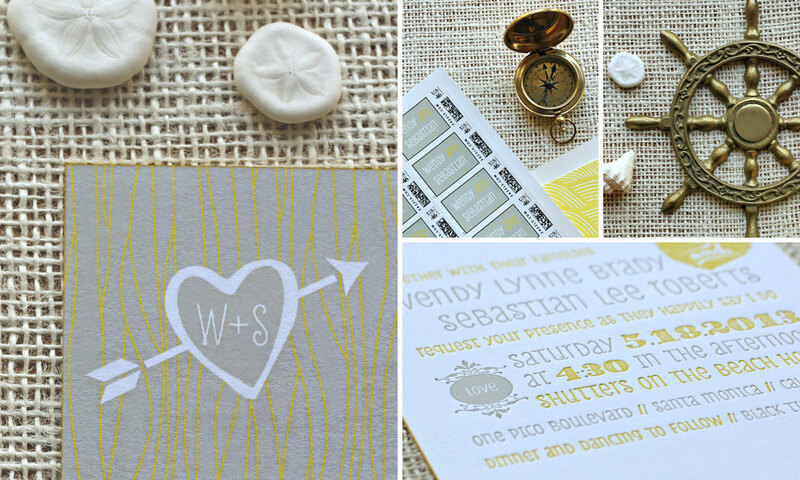 A custom stamp with the couple’s name and flowy, handwritten calligraphy complete the look.